With a wealth of quality ingredients, and a history of traditional dishes, it’s not difficult to come to Rioja with high expectations. Drive through the valley covered in blossoming cherry trees and vines, and it doesn’t take long to fall in love. But to truly understand the heart and soul of Rioja, you must be willing to open your mind, and your palate, to a vast array of new flavors. Rioja is known as a cornerstone for outstanding produce which provides the foundation to its simple yet quality driven gastronomy. From grapes that craft internationally recognized wines to lettuces, peppers, onions, artichokes, garlic, tomatoes, asparagus, beans, peas and peppers. And let’s not forget its notable goat and lamb products whose aromas can be savored when tossed over grapevines on open pits, this is not an area to miss! Located in northern Spain, it’s beauty and richness is a once in a lifetime experience to behold! Private wine tour in Rioja with expert food, wine and cultural guide. Visit and tour of the most charming towns of Spain. High quality wine tastings at 4 excellent wineries. Visit to the largest wine museum in the world. Eat with the locals at gourmet traditional restaurants. Relaxing stay in 2 luxurious boutique hotels. This trip was our first group travel and won’t be our last! Extremely well organized and the personal contacts you shared with us gave us a view of Portugal and their wines that wouldn’t have been possible otherwise. To the entire Catavino Team, job well done! Starting in Barcelona, your private chauffeur will pick you up in your hotel and take you on a fantastic journey through old vines and undulating tree-lined landscape to the ethereal image of the multi-domed Basílica del Pilar reflected in the Río Ebro – a potent symbol of Zaragoza, one of Spain’s most underrated regional capitals. Here you’ll not only tour the old quarter, but you’ll explore Zaragoza’s tapas scene, which include: outstanding roasted baby lamb (ternasco); free-range, vegetable fed beef and pork; cured and smoked meats like longaniza sausages; chorizo (spicy sausage); morcilla (blood sausage) and jamón (cured ham) from Teruel. Come evening, you’ll don your walking shoes and enjoy a yet another, guided walking food tour of one of the best tapas restaurants in the world, Calle Laurel! After waking up in your boutique hotel in the quaint little village of Ábalos, your private guide will drive you to Labastida. Located in a Basque village, which is an impressive fortress town, and Briñas, noted for its many mansions formerly inhabited by Haro’s wine nobility. After touring these quaint and picturesque villages, we’ll head to Haro for our first VIP winery tasting and tour. This iconic and quality driven winery is a national icon with its cobweb laced walls, mold covered cellars with 13,000 barrels sleeping to perfection. Following your unforgettable visit, we’ll head out for a rustic lunch in a charming little countryside restaurant. After lunch, your guide will drive to a tiny village to meet with owner of a family-run winery, to tour their beautiful vineyards and taste their fabulous vintages. The purpose of this visit is to catch the other side of Rioja wine making for a completely unique experience. We will then return to your accommodation in the early evening in time for dinner on your own. We have loads of sumptuous suggestions if you wish for us to book a mouthwatering evening grazing upon suckling pig or perfectly grilled fish. cheeses, cured meats, pastries and homemade yogurt in preparation for a marathon morning dedicated to wine. 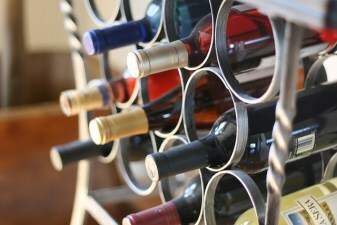 Today, you will visit the largest wine museum in the world dedicated to every facet of wine you could possibly imagine. From century old art pieces to modern day technology, this museum is like nothing you’ve ever experienced in your life. Following our visit, we will head to a great little lunch venue featuring outstanding regional dishes, followed by a visit to the Romanesque, 13th-century Castillo de Davalillo where the views are breathtaking. We’ll then stop at a beautiful sandstone winery surrounded by 70 hectares of estate vineyards in French chateau style who’s underground cellars date from 1816. Following the visit, you continue on and reach a quaint farmhouse bed and breakfast where you can relax and feel in touch with the countryside. Dinner will be served in their charming restaurant featuring homemade award-winning dishes. This morning, savor a relaxing breakfast of warm freshly baked breads, meats, cheeses and homemade marmalade. Afterwards, your guide will whisk you away towards Barcelona with a stop in Pamplona, famous for the emblematic running of the bulls. We will have a tour of the city and then get back on the road and keep inching our way back to Barcelona. Of course we can´t end without stopping at one last winery for a catered lunch and wine tasting at the finca (country estate) of a local farmer and winemaker. Located in the DO Costre de Segre wine region, the visit is a great finale on your wine odyssey. Enjoy this opportunity to just relax and leisurely eat, chat and drink great wine. We will then make our way back to Barcelona and this wine adventure will finish up back in Barcelona by 8pm. • 3 nights accommodation in two 4-star luxury hotels in La Rioja. • 4 high quality traditional lunches, one of which is served in a winery. 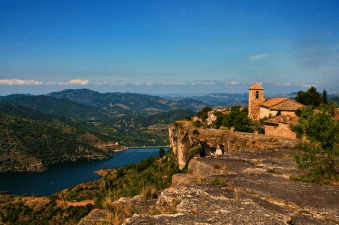 Lesser Known Wines of Catalunya Not to MISS!